“Fiona took all the hard work out of planning our wedding flowers! We knew from the beginning that the floral arrangement was very important to us, but we had no idea what that perfect look would be. After one meeting with Fiona she was able to figure out exactly what we wanted (a classic look with a little personal touch) and from there she handled everything! She found us beautiful roses that were just the right price, and fun curly-queue accent plants. She also had great ideas on how to make the most out of our budget. On the day of the wedding she arrived right on time and handled all of the setup for us. We were blown away with how perfectly it all came together! Fiona helped us find exactly the right look for our wedding. 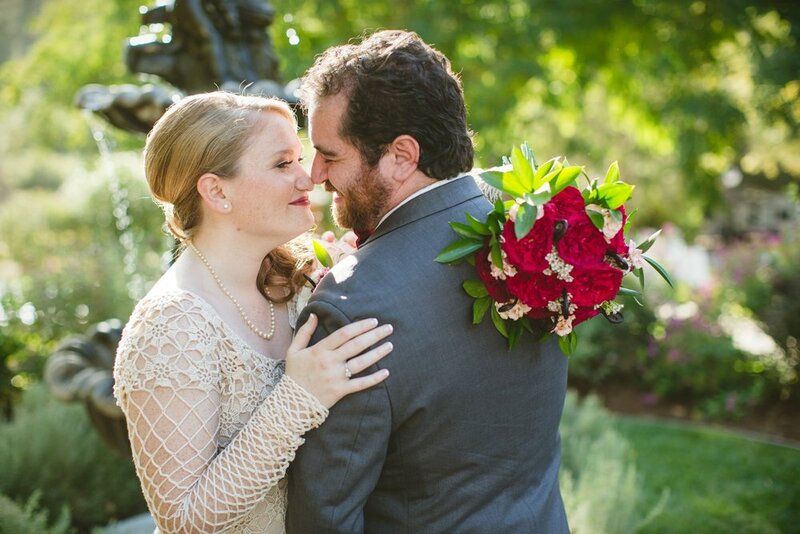 Because of Fiona, the flowers were one of the easiest parts of our wedding planning – and one of our favorites! We would highly recommend Bloom Florals for your wedding or event!